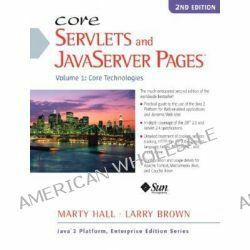 Core Servlets and JavaServer Pages, Core Technologies Volume 1 by Marty Hall, 9780130092298. « Creating a Web Page with HTML, Visual QuickProject Guide by Elizabeth Castro, 9780321278470. Informacje o Core Servlets and JavaServer Pages, Core Technologies Volume 1 by Marty Hall, 9780130092298. Produkt został dodany 09.12.2014 20:13. Ostatnia zmiana danych produktu miała miejsce 09.12.2014 20:13.